Vegetable Juicers...Juicing Equipment! This Is Your Juicing For Health Equipment Headquarters! Check Out The Information Below To Really Get Started! You need to know what kinds of juicers are available. It is important that you know how each type of juicer works and what it works best for. Nothing helps making a purchasing decision like knowing the advantages and disadvantages, pros and cons of each type of juicer. Recommendations! My recommendation about the best overall type of juicer to own...which one makes the best juice, is the easiest to use, and which has the most diverse uses. And wouldn't it be great to buy one from the worlds most trusted online store? I have created an Amazon Store of all the various types of juicers. You don't need to waste any time searching and shopping...Amazon almost always has the best deal. Here Is An Overview Of Each Of The Types Of Juicers! Here I am comparing the various types of juicers including when to use each kind of juicer, and how they work. Let's Start With The Simplest and Potentially The Least Expensive Of All The Juicers...The Manual Juicers! Click on this link to read about Manual Juicers, How They Work And Their Advantages and Disadvantages. Next, Let's Learn More About Centrifugal Juicers...How They Work! Click here to read about how Centrifugal Juicers work and their Advantages and Disadvantages. Now, Let's Learn About Gear or "Masticating" Juicers...How They Work And Advantages And Disadvantages! These Are My Personal Favorites For Many Good Reasons! Please click here to learn about Gear or "Masticating" Juicers. Last But Not Least Are The Blenders! You Can't Make A Delicious Fruit Smoothie Without One! Please click here to learn what you need to know about Blenders. If You Want To Do Juicing For Health For Life...Here Are My Equipment Recommendations! If you really want to revolutionize your health and life, here are the 3 juicers you will want to have. Let's start with the least expensive and work up. 1. If you want to juice citrus fruit you will need to have either a manual or motorized citrus juicer. I personally own a Black & Decker motorized unit. These are very inexpensive. Mine cost around $20.00 US. 2. If you intend to make Fruit Smoothies you will need to have a good but not terribly expensive blender. As I may have mentioned I have an Osterizer Imperial that is over 30 years old with a glass pitcher and 14 speeds. You will want one with a glass container and at least 3 speeds and preferable a few more. You need spend no more than $30 to $40 US to get one that meets the criteria of more than 3 speeds with a glass container. 3. You will want to have a gear or "masticating" juicer. I recommend the single gear type juicers like the Omega 8003 and 8004 series which is white. Most Omega Juicers come with a 10 year warranty which is fantastic. But the J8004 comes with a 15 year warranty. I don't recommend their more expensive 8006 twin gear model since it is harder to clean up and doesn't really make any more or better juice than the single gear model and you will save a few dollars. The Omega J8004 is about $258.00 US. You can go to Dr. Eichenauer's Amazon Juicing Equipment Store to take a look at the Omega J8004 and compare. Having said all that if you already have a centrifugal juicer and can't afford to upgrade to a single gear "masticating juicer" start juicing use your centrifugal juicer. For all the hype surrounding the differences between centrifugal and gear or masticating juicers, getting a masticating juicer will only increase the quality of your juice over that of a centrifugal juicer by 20%. 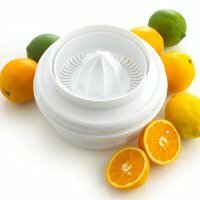 Also if you don't have the money to spend on the more expensive gear or masticating juicer, you can get a good centrifugal juicer for around $50.00. 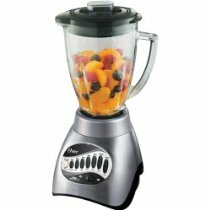 You can check out the various models and prices at my Juicer Store. I have a big old Acme Supreme centrifugal juicer that was my grandmothers and I'm not replacing it until it dies which doesn't seem likely...it must be 30 years old now. I'll get one of the masticating juicers then. ...If you add juicing to your life even with a centrifugal juicer you will be able to drink juices that will amazingly improve your health. The juice you drink will be a 100% improvement over something like V8 juice or even 100% fruit juices with no additives which have been pasteurized (heated to incredible temperatures) which destroys almost all of the nutritional value of the juice. Check the labels on any of the juices you find at your local store...they have all been pasteurized. You could as well be drinking water...in fact drinking water would be healthier for you. Remember, don't let the perfect be the enemy of the good. If you can afford it, get something like an Omega gear juicer. If you are a true chef or cook type person the Omega single and double gear juicers will enable you to make nut butters, pastas and much, much more should you care to do so...that's a bonus in my book. That's it in terms of equipment and priorities! This will cover all your juicing equipment needs. 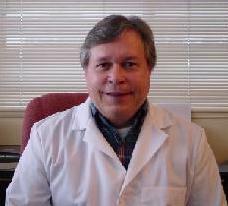 There is plenty more information on Juicing here on this website. Delicious And Nutritious Juicing Recipes for Vegetable and Fruit Juicing! Please click here to go to my page of Vegetable and Fruit Juice Recipes. Here Is Your Link To My Delicious and Nutritious Fruit Smoothie Recipe Page! 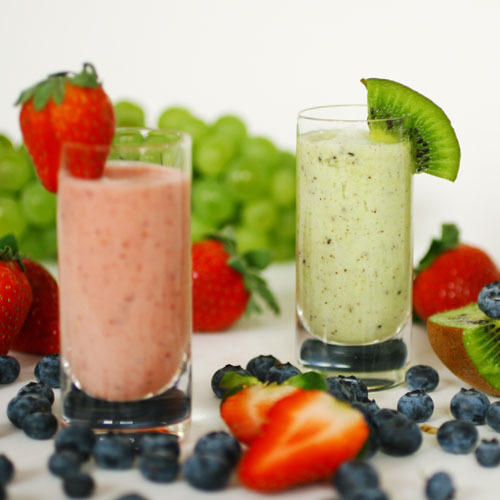 Please click here to see Fruit Smoothie Recipes And Information!